Aging: A Gift or a Curse? Aging is a bit depressing, isn’t it? A lot of us look at growing old as a curse that no one can escape from. With it comes health challenges, a weakening mind and body, and stress – lots and lots of it. And yes, if you are very much concerned about your outward appearance, then prepare for aging to make changes on that department as well. Despite all this, a lot of people are very happy to sport grey hair and wrinkly skin. They are proud to showcase their battle scars; born from years and years of overcoming trials and tribulations. But what is aging really? Is it really this romanticized process people make it out to be or is it a terrible curse bestowed upon us the moment we were born? Let’s discuss. It’s true that many of us can’t help but perceive aging as literally “the end of everything”. While that sounds a little bit dramatic, a good number of people do view it that way. 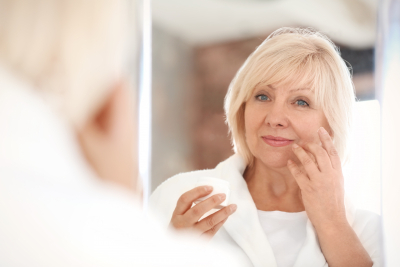 There are grounds for viewing aging as something negative, such as the appearance of lines and wrinkles, the sprouting of grey hair, the beginnings of soreness and pain, and the demise of all youth and vitality. However, looking at the downsides of aging is only one way of looking at it. Do not close yourself off to the wonders that growing old can bring, like how it affects your body with wrinkles on your skin. What may seem like a curse is actually evidence that you lived such an eventful life. That is definitely a blessing and in no way a curse. It makes one realize the importance of love and family. If you were so used to being independent and alone in your prime, you’ll need to re-evaluate that as you grow older. While such a late realization of love, friendship, and companionship is not something we would wish on anyone, the fact remains that it does happen to a lot of people. Growing older shifts this negative way of looking at things, making a person realize that he or she cannot stand alone; that he needs friends and relatives to be there for him (that such a connection was needed all along). Not everyone gets to grow old. Growing old is something to be grateful for because not all people experience it. Treat old age as a gift by partnering with Lowenhill Home Care Services, putting effort into aging positively and healthily. Aging is only a curse if you’re determined to see it that way. However, if you change your ways and look at aging in a different light, you’ll realize the slew of positives that it can bring to your life. Growing old has its irrefutable negatives but also its immeasurable joys.